Nearly all Smartphones with Android operating system can download a variety of applications from various sources. While the Android Market is a default application on your phone, you may not have Internet access on your device when you want to install an application. Instead, you can save the application on your computer to install it on your device. If you have Internet access on the phone, but applying market does not work, you can use the automatic installer to your phone from the market being on the computer. The official Google Play Store now has more than 700,000 applications available, many free, that users can download to extend the capabilities of their handsets. Google Play offers a complete catalog of music, books, movies and of course applications. What not everybody knows is that the Android store can also be controlled from any computer connected, this means we can download content directly on your smartphone or tablet, we tell you how. Imagine you are browsing the Internet on your PC and stumbled on an application that interests you. To carry out these actions need to sign in with the same Google Account you have linked to our device, once we connected all the services Google Play function the same way in the mobile or PC. 1. Visit the Android Market on your web browser. Click "Register" in the upper right corner to enter the Google account associated with your phone. 2.Locate one or more applications you want to install, and click on the "Install" button under the application icon on a page to list or description of the application. 3.Choose your phone from the drop-down list, and click on the button "Install". The market will install the application on your phone. When accessing the same, you'll see an alert that a new application has been installed. In most cases, people trends to install Android app straightforward with Android Market, it's easy and fast! However, there many times when you need install a new Application which can't be download in Android Market. What should you do? The only way is that requires you to manually move the .apk file to SD card of your device and run it. 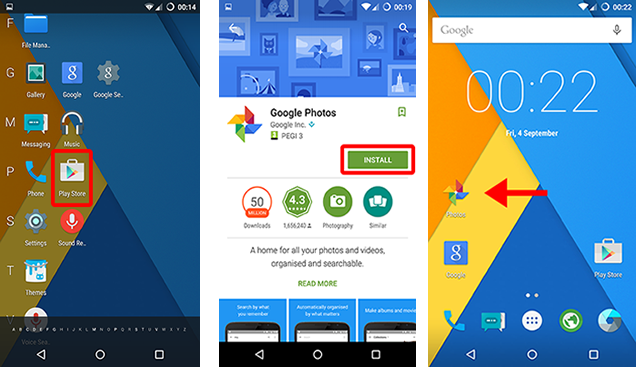 Take a look at the following ways to install the apps that not belong to Google play. 2) Android Assistant tool to help you install app. 3) An Android phone and a USB cable. Android system doesn't allows users to browsing the data on your SD memory card, so you will need a file manager. In our test, Android Assistant is the best and most complete application to manage your Android Smartphone available through computer. 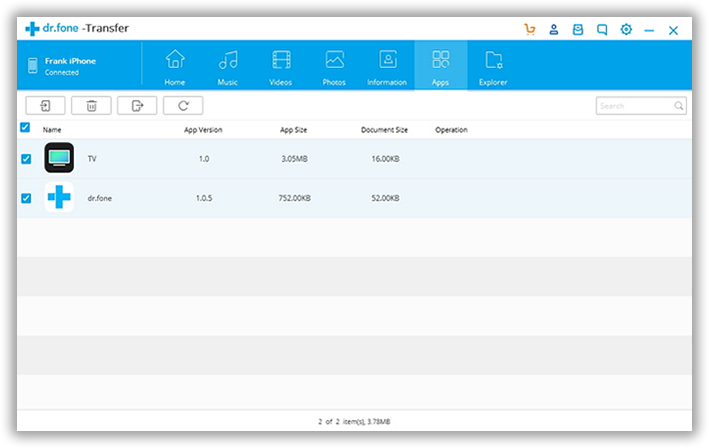 As this tool contains many features such as manage apps, sync and transfer data, backup&restore Android, manage apps, etc. and its powerful advanced feature will give you complete control of your Smartphone. 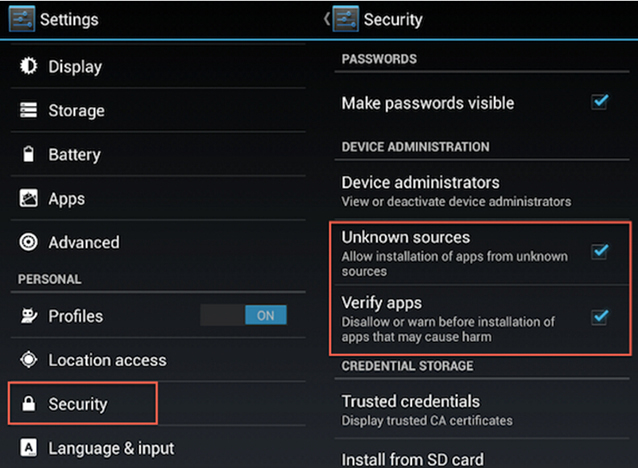 Before installing the application, you need to first enable the device install from Unknown Sources. Just navigate to Menu -> Settings -> Applications and check the box marked "Unknown Sources". Look at the screenshot below. If you found many application that you have grown greatly interested in, I highly suggest you download it from a trusted developer or company, doing so will prevent your Android device getting a virus. Download the app and save it on your computer. The next step will be finding an Android package file, here we choose the Android Assistant tool to move the App and install. Run the program after you installing it on your computer, then connect your Android device to your computer via USB or Wi-Fi. i) Click the "App" on the left, it will lists all the installed the apps on your device. ii) Select the apps you wish to move. Click the "Move to SD Card" button, This will open a dialog box allowing you to export your previous installed app to external SD card. The program give the permission to users for back up apps from phone to computer, move app from internal memory to SD, and directly uninstall the app via computer. Tick the APK files you want to move from the list and click the "Export" button , then the .apk file will be moved to your computer quickly. As you can see, it's really very easy to install your apk to SD from PC, it would be the best way to release more space if your device runs low on memory space. This method of moving your apps to sd card is known for working with all Android device.I'm sure that you will probably be comfortable using this program to install apps for your Android device.